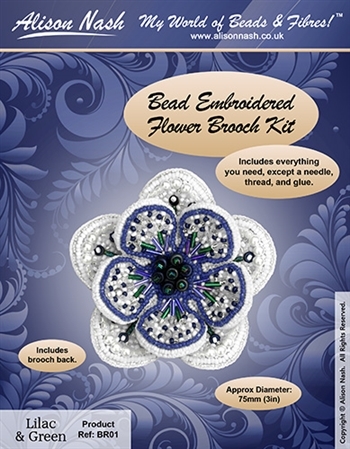 Make your own bead embroidered flower brooch with this full kit! Includes everything you need to make the brooch, except a needle, thread and glue. This kit is not for large commercial use, but you can make and sell up to 20 brooches per year.